Duck Family Day is a new feature for every Saturday where Oregon fans share their stories of …. being Oregon fans! Email me charles@fishduck.com to share your experiences of you and your family and what it means to be a Duck fan. Randy Morse (below) is a writer and editor for FishDuck.com and has a passion over the phone for our beloved Ducks that sounds the same as you and me. Contact us and share! This is what sports are all about – where I live, at least. 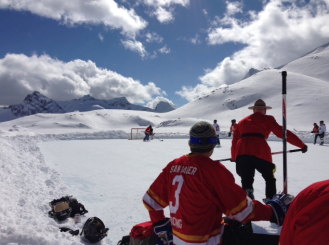 Seriously, that photo below of the guys on the ice was taken recently in our front yard. On a rink created high in British Columbia’s Purcell Mountains, right across fjord-like, 100-mile-long Kootenay Lake from Kaslo, the tiny, isolated alpine village I call home. They take hockey very, very seriously up here. The fellow in the scarlet tunic is Shaun Begg, a Mountie and our local cop. Shaun, like everyone else around here, is hockey-mad. 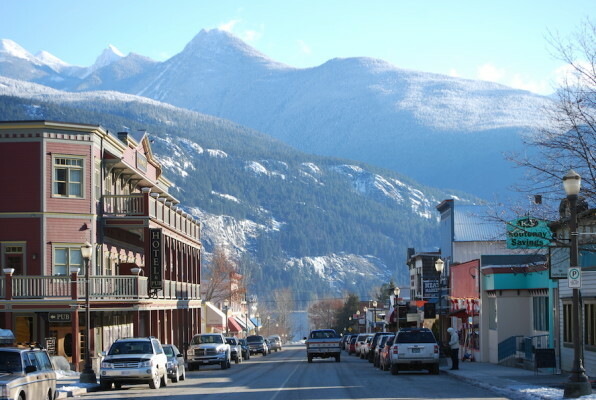 Conversations in local bars (well, that would be bar — there’s only one in Kaslo) and coffee shops this time of year, revolve around the Stanley Cup playoffs and the NHL draft. It’s all hockey — pretty much – all the time up here. Not the best place in the world to be a Duck fan. Let’s face it. It’s easy to be a part of all things Ducks in Eugene. “Easy” in the sense that Eugenians have all the trappings, all the accoutrements of Duckish fandom at their beck and call. Need the latest Mariota jersey? No problem. That decal on your Beamer’s bumper starting to look a bit faded? Hello, U-of-O Bookstore. Feel like watching some hoops in an arena that puts most NBA palaces to shame? Amble on down to Matt Knight. Want to watch the world’s best athletes go at it on the most storied track in the world? Hayward Field is just around the corner. I won’t even get into baseball and football — any more typing on this subject and I’m going to start weeping. My Ducks decals are fading fast. But perhaps it’s too easy to be a Duck in Eugene. Perhaps Canada’s Joni Mitchell had it right when she sang, “But you don’t know what you’ve got ’til it’s gone.” Those lines certainly resonate for rabid Ducks fans like yours truly who don’t live in Eugene anymore. Who don’t live in Oregon. Hell, some us don’t even live in the States. Perhaps those of us who are ex-pat Ducks fanatics set the true standard of what being a fan is all about. Surrounded by a sea of hockey or soccer-loving masses who think ducks are to be shot and eaten, beavers to be trapped and skinned. The only jerseys I have access to here are baggy, feature-stylized killer whale logos, and have names like Bieksa and Hamhuis stitched on the back. 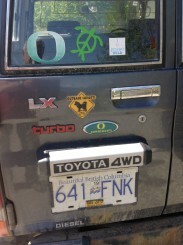 When my ancient Ducks decals decay, unless I want to replace them with a Canucks sticker, I’m hooped. Track & field? There’s a trail — start running. No stands filled with cheering, knowledgable athletics aficionados. Just you, your dog, and the occasional bear or cougar. Basketball? Baseball? Football? Save for a couple of displaced Edmontonians who have learned to like the Ducks because yellow and green happen to be the colors of their beloved CFL Eskimos, and the guy who owns the local hardware store and loves Oregon because of our team speed and cool uniforms, I’m on my own up here. A lone Ducks fan awash in a sea — or in my case, mountain range — of ice-mad Canadians. Mind you, it could be worse. I used to live in Norway and Sweden. While I’m a native Oregonian – went to South Eugene and the U of O – my kids were all born abroad. I’m happy to report all of them have been rigorously raised to appreciate the importance of Oregon sports in the context of our family fabric. 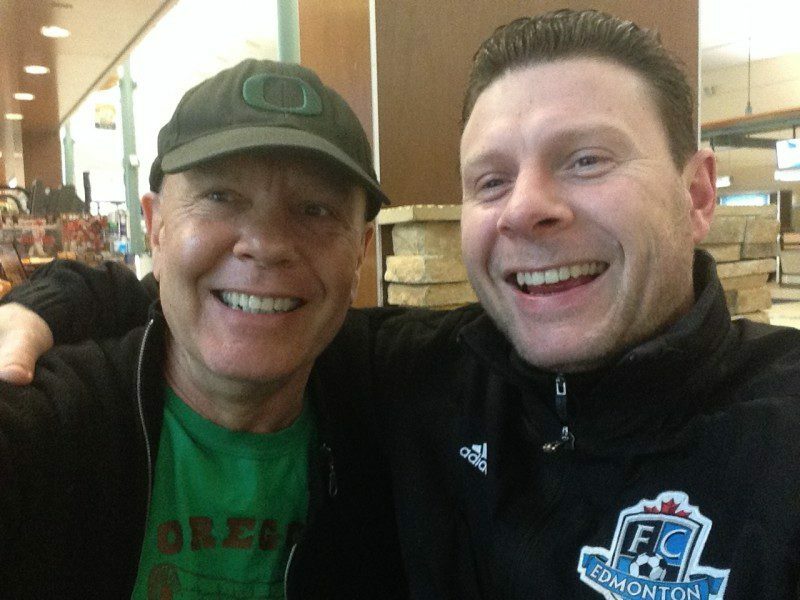 My son Andreas, in particular — he works with the NASL team FC Edmonton — lives and breathes Oregon sports, in particular football, right along with me. One of my happiest moments in recent memory was receiving a ping on my iPhone, alerting me to a text and accompanying photo of Andreas standing on the sidelines at Autzen Stadium during a game. Kaslo. Eagles. Trout. Griz. Bees. Canucks fans galore. But not many Ducks. I guess in the end it simply boils down to this: In my heart I’ve become a Canadian. But in my soul I remain a Duck. And I’m not alone. There’s Richard Sykes in Toronto. Dave Frei in New York. That mysterious bar owner I stumbled upon in the interior of Puerto Rico whose name escapes me. We may not be able to tailgate on sunny September Saturdays outside Autzen Stadium, or bump into Mark Helfrich at “The Cooler.” But there we are every weekend, cursing the fact we can’t get the Pac-12 Network as we squint at our computer screens, watching a scratchy feed courtesy of some bizarre Russian web sports feed. Cheering on our beloved Ducks. I could write more, but I have to go chop some wood and buy a sack of Nelson Amber Ale — the boys are coming over in a bit, there’s a playoff game tonight, ‘eh?